CERA was established in the early 1970’s by off-road motorcycle enthusiasts with a passion for the outdoors and motorcycling competition. The founders of CERA decided to provide some fun and healthy competition for the off-road community that was the subject of the movie so popular at the time – “On Any Sunday”. This community included off-road riders and clubs throughout the state of California. CERA now holds two competitive events each year. They are the Fools Gold Enduro held on the Georgetown Divide, East of Georgetown, California and the Crazy Miner Youth / Family Enduro also held in the same area and both meets are sanctioned by the AMA. CERA’s Premier Fools Gold Enduro pays District 36 points in the D36-IRC Tire Championship Enduro Series and the riders who accumulate the most District 36 points during the year are recognized by District 36 as Champions in their respective classes at the District 36 Annual Awards Banquet. The Crazy Miner, in turn, is part of the District 36-IRC Tire Championship Youth / Family Enduro Series. 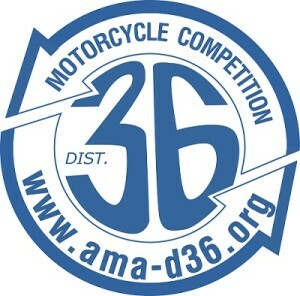 This series pays District 36 points to qualifying classes (Youth Boys, Youth Girls, C women, Diva, Super Senior and Master classes) and the best riders in each qualifying class are also recognized with Awards at the District 36 Awards Banquet each year. In addition to hosting competitive events, CERA encourages the growing popularity of Dual Sport. Fortunately, the area of the Sierra Nevada where CERA holds its enduros also offers fantastic Dual Sporting opportunities. Organized Dual Sport rides are noncompetitive events that use both paved and dirt roads as well double track and single track trails through the forest. Motorcycles have to be street legal and licensed to qualify. CERA is currently looking into promoting a Dual Sport Ride so stay tuned for further information. CERA continues to acknowledge its responsibilities both inside and outside the off-road community. CERA is passionate about preserving our land-use rights and works closely with the US Forest Service, the District 36 Legislative Action Officer, the Blue Ribbon Coalition and other groups to preserve our “Right to Ride”. Volunteering time to forest projects and contributing to the well being of the forest communities that are home to our events are activities of which CERA is justifiably proud. As a result of these efforts, CERA is able to promote events that are challenging yet safe, responsible and… oh yea, fun.